The “Poggs” – Deb and Dave Poggemoeller – have become cyclists as a result of their passion to see children in Rwanda receive a quality education. Dave and Deb first heard about Wellspring in the spring of 2008. A friend, Craig Fleischhacker, asked them to participate in acquiring building materials for the Wellspring Academy, a K-12 school being built in Kigali, Rwanda. In the fall, after the container doors were closed and it left their property, the Poggemoellers started talking about taking their three children on an adventure. The plan was to go to Rwanda, hopefully meet the container on its arrival into the country, help unload it and perhaps do some work on the school site itself. “We wanted to see the project first hand and try and discover what other needs they might have and what use we could be,” explains Dave. Unfortunately, they were not able to greet the container but they stayed on the school site, spent time with children in their classrooms, did some touring and fell in love with the country and its people. After returning from Rwanda, Dave and Deb have been involved in helping raise over $300,000 for the school building project (read about Raising the Roof!) and Wellspring’s Teacher Training program that is run in 41 public schools in Kigali, impacting more than 50,000 children. 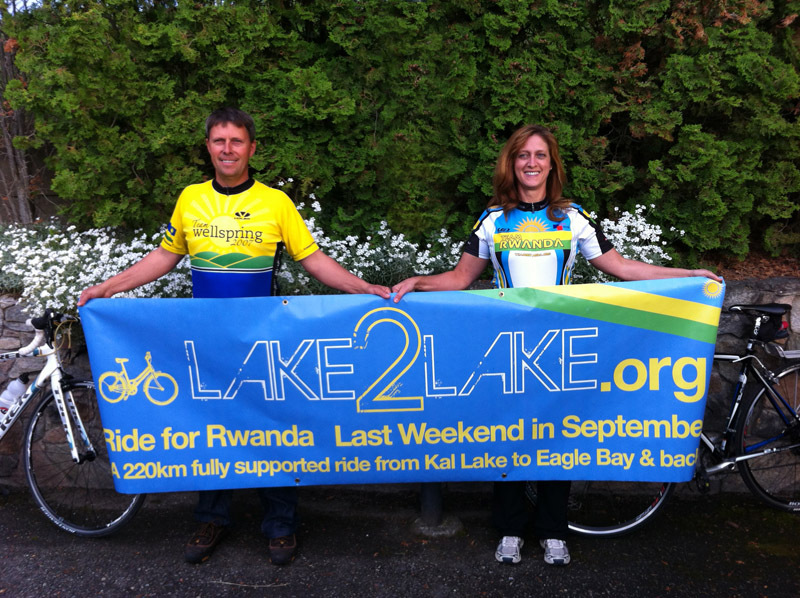 Dave and Deb extend an invitation to everyone but issue a specific challenge to their soccer colleagues: “Join us on this year’s Lake2Lake Ride for Rwanda – have fun and raise funds for a terrific cause!” On the September 29+30 weekend they will join other cyclists for our third annual Lake2Lake Ride for Rwanda—a two-day, 220km, fully supported event from Kalamalka Lake to Eagle Bay on Shuswap Lake and back. 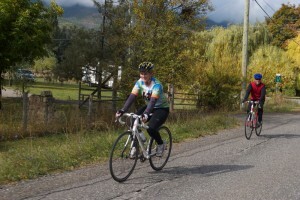 Would you like to be a part of this year’s Lake2Lake Ride for Rwanda? Registration is open for Lake2Lake, register now. Riders can also register to fundraise for Wellspring by collecting pledges to complete the 220km journey. Raise $500 and receive a vibrant Team Wellspring cycling jersey (only available to fundraising riders). Raise $1200 and receive the Team Wellspring jersey plus have the ride fee covered (ride fee includes overnight accommodations).